While it was the predominant faith of the region until about the 11th century, Buddhism is now the third largest religion in Bangladesh with about 0.7% of population adhering to Theravada Buddhism. Over 65% of the Buddhist population is concentrated in the Chittagong Hill Tracts region, where Buddhism the predominant faith of the Chakma, Marma, Tanchangya and other Jumma people, while the remaining 35% of the population are from the Bengali Buddhist community. Buddhist communities are present in the urban centers of Bangladesh, particularly Chittagong and Dhaka. As of 2014, followers of Buddhism are mainly people of Baruas living in Chittagong city, the business city of Bangladesh and indigenous Arakanese descent living in the sub-tropical Chittagong Hill Tracts. People who follow Buddhism in Bangladesh belong to the Barua people in majority with the percentage of 65% among the 0.07% population of Bangladesh, Chakma, Chak, Marma, Tanchangya and the Khyang, who had been since time in memorial have practiced Buddhism. Other tribal, notably those who practice Animism, have come under some Buddhist influence, and this is true in the case of the Khumi and the Mru, and to a lesser extent on the other tribals. 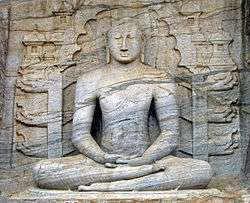 Legend said that Gautama Buddha came to the region to spread Buddhism, and it was speculated that one or two individuals became monks to follow his footsteps. However, Buddhism did not gain much support until under the reign of Asoka when Buddhism gained a toehold. 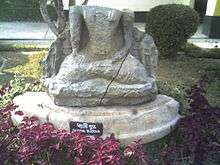 The Pala Empire that controlled the Indian subcontinent spread many Buddhist ideologies in modern Bangladesh and built many monasteries such as the Mahasthangarh and the Somapura Mahavihara. 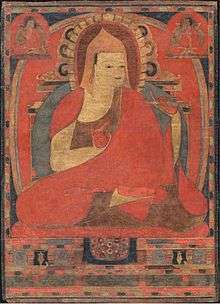 Also within the same Pala era, a famous preacher named Atisha was born in the city of Bikrampur and spread Tibetan-Buddhism. Buddhism in various forms appears to have been prevalent at the time of the Turkish conquest in 1202. The invading armies apparently found numerous monasteries, which they destroyed. With the destruction of its centers of learning such as Nalanda University, Buddhism rapidly disintegrated. In subsequent centuries and up through the 1980s nearly all the remaining Buddhists lived in the region around Chittagong, which had not been entirely conquered until the time of the British Raj (1858–1947). During the 19th century, a revival movement developed that led to the development of two orders of Theravada monks, the Sangharaj Nikaya and the Mahasthabir Nikaya. ↑ "Bangladesh : AT A GLANCE". Retrieved 27 February 2015. ↑ "Bangladesh - Amar Desh Online - আমারদেশ অনলাইন". Retrieved 27 February 2015. 1 2 3 4 This article incorporates public domain material from the Library of Congress document: "Bangladesh: A country study". Federal Research Division. Buddhism. ↑ "Caryagiti". Retrieved 27 February 2015. ↑ "Jewel in the Crown: Bengal's Buddhist Revival in the 19th and 20th Centuries". ↑ Jahangir, Apurba (6 March 2016). "A Free Spirit". The Daily Star. Retrieved 25 January 2016.